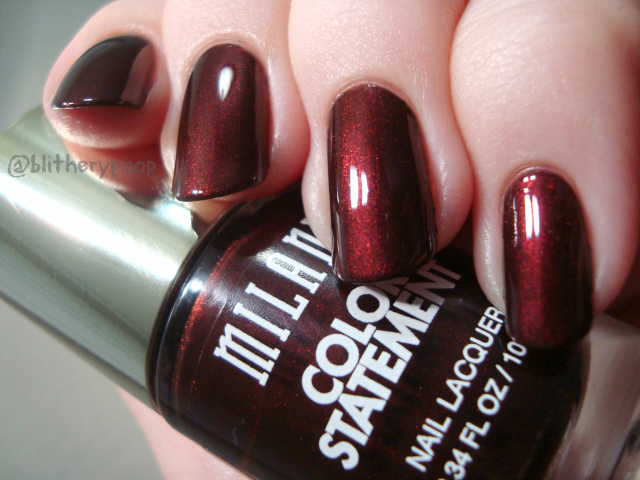 My last post was about a polish that you almost definitely won't find anywhere...because it's almost fifteen years old. Today's polishes are less HTF, but still frustratingly scarce. Milani's Bedazzled collection for fall is only at CVS and Walgreens. I haven't been wandering quite as much lately, but I've still been to several of each store in the two months since it came out. I've only seen it at one CVS, the one that gets almost everything and sells out quickly. Somehow I talked myself out of the mesmerizing Constellation Eye Liners and pretty lipsticks. All LE makeup draws my attention, but you know I have a week spot for polish. Just two of the three came home with me. Nothing against Enchanted Sapphire, but I'm trying not to buy EVERY blue cream anymore. 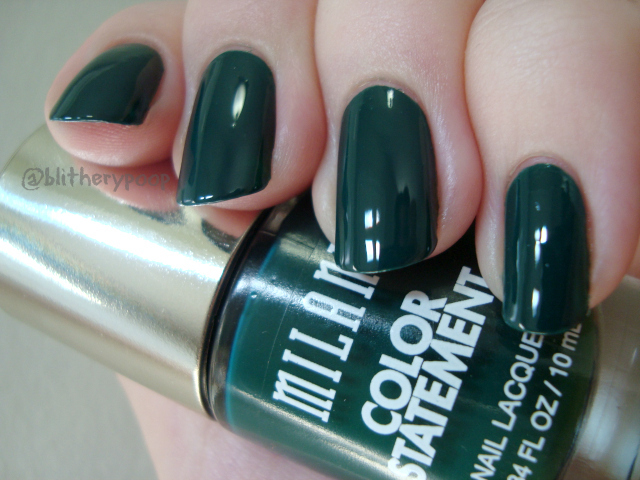 Enchanted Emerald is a deep emerald green cream. One coat! Woo! I did get pinprick bubbles, but they were small enough that topcoat made them virtually invisible. 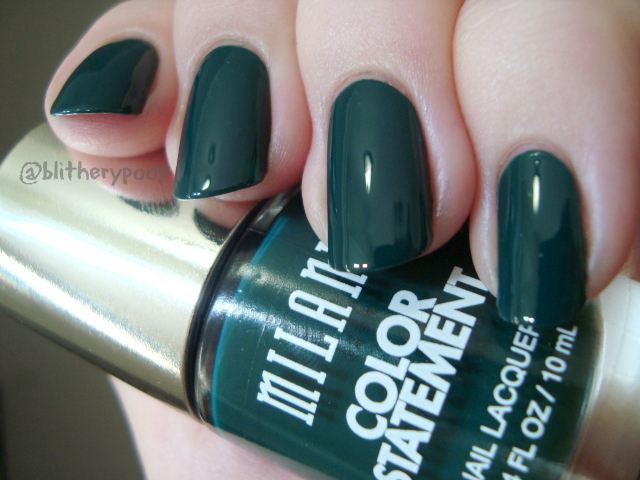 The color is dark enough to be bold without looking black. 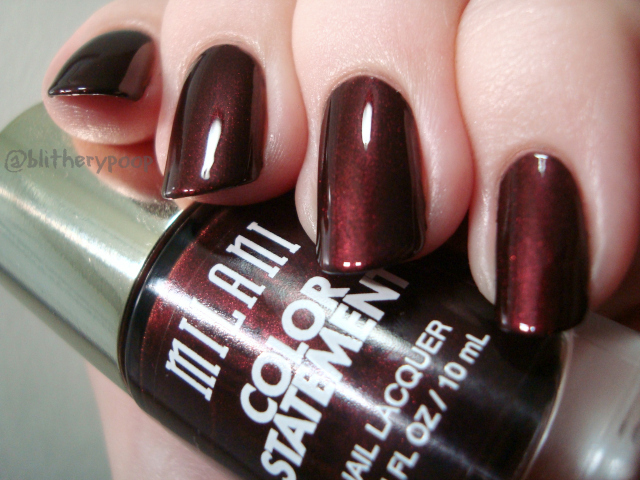 Enchanted Garnet is a blackened red shimmer. I love shades like this. There are a bunch out there, including Revlon Divine, but I had no bubbling with this one. Yay! This is two coats. Bottom line: If you happen upon this display, these two are worth checking out. 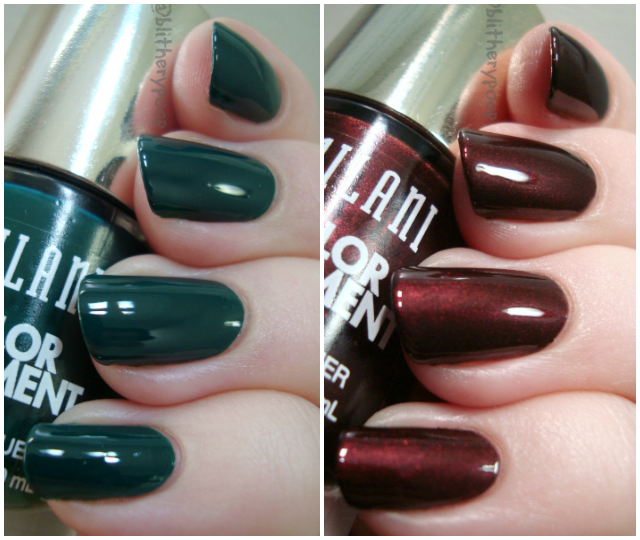 Tomorrow's polishes will be ETF, I promise!